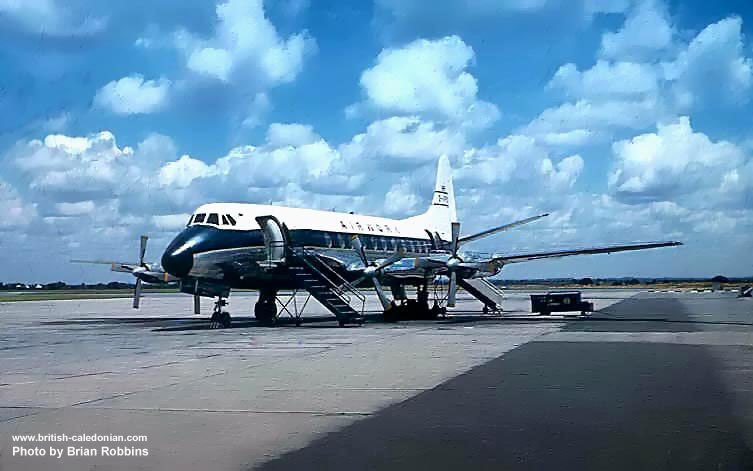 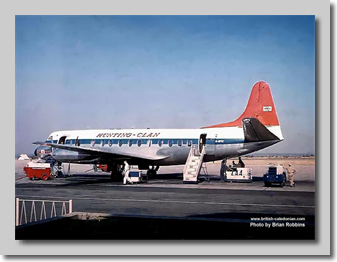 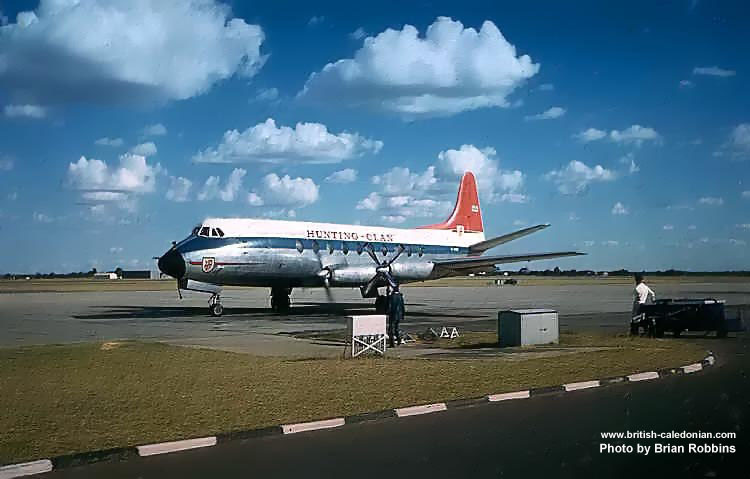 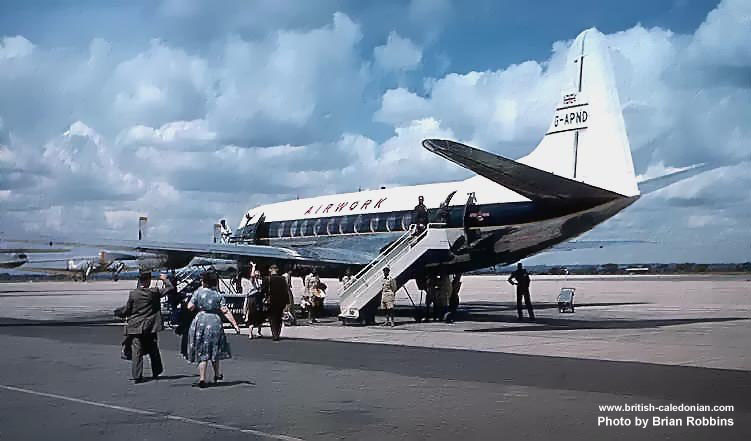 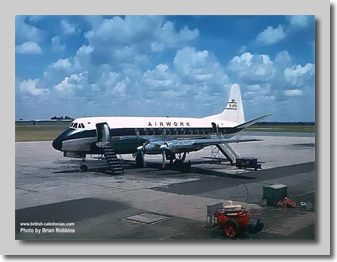 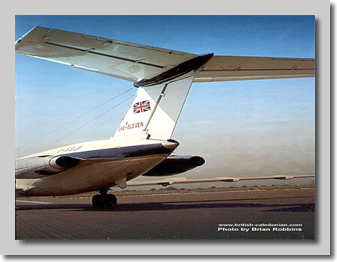 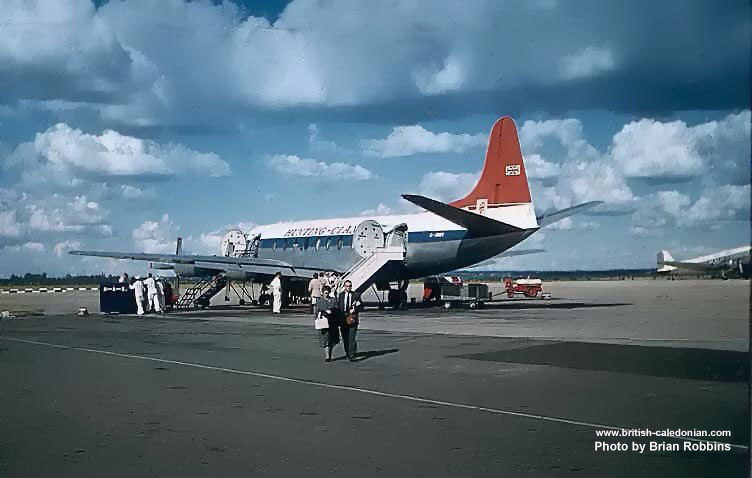 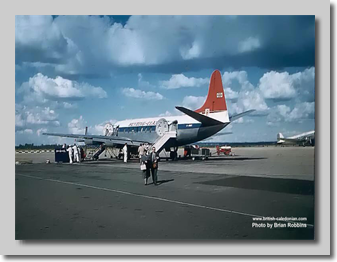 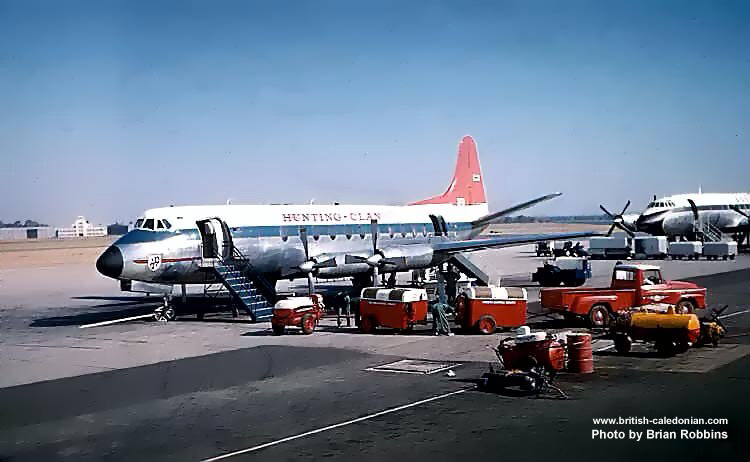 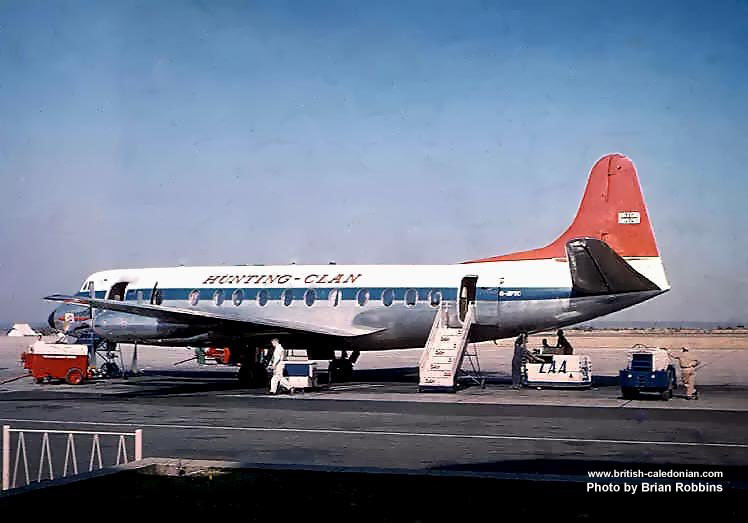 When the British Government finally gave permission for Hunting and Airwork to use modern turbo-prop Viscounts on their Colonial coach services, both airlines soon deployed Viscounts. 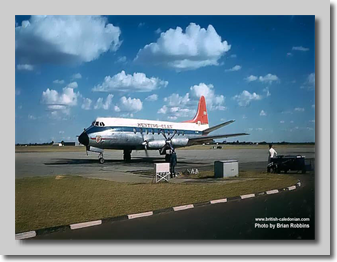 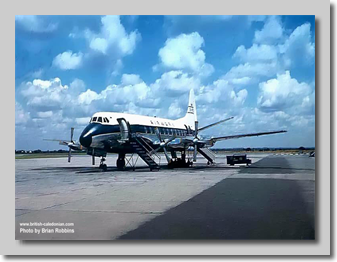 Here we can see both airlines with their Viscounts down route in Africa on Safari services. 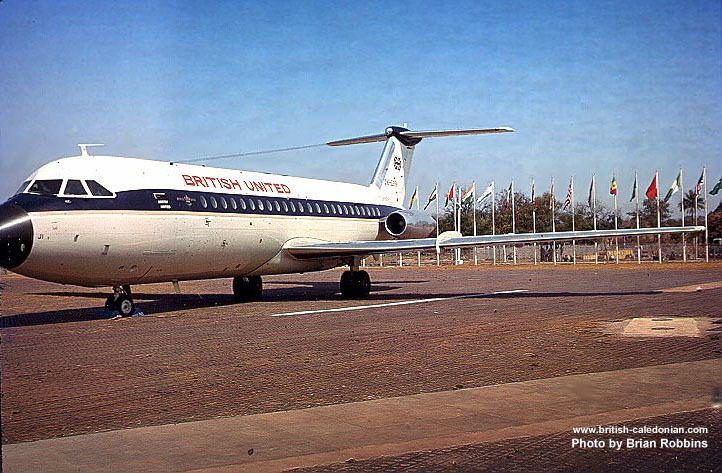 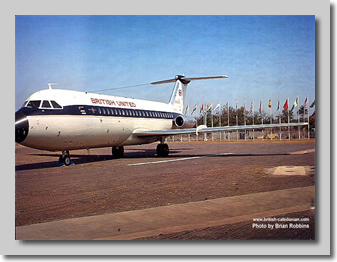 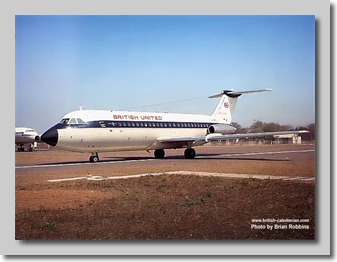 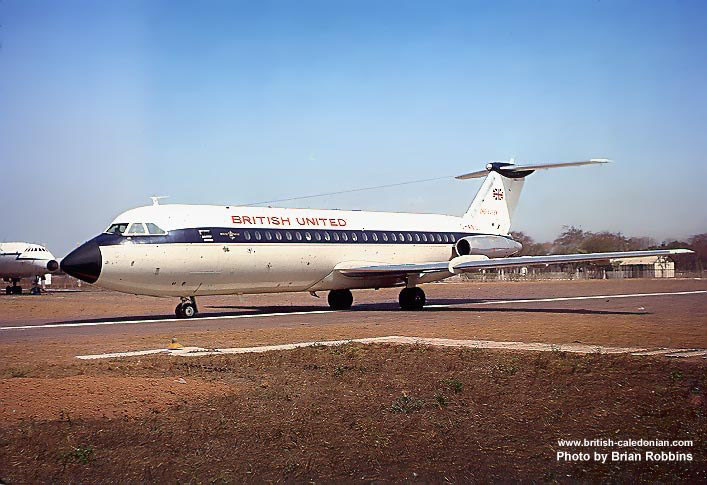 G-ASJI was on a demonstration flight in 1965 at time of The Gambia's Independence. 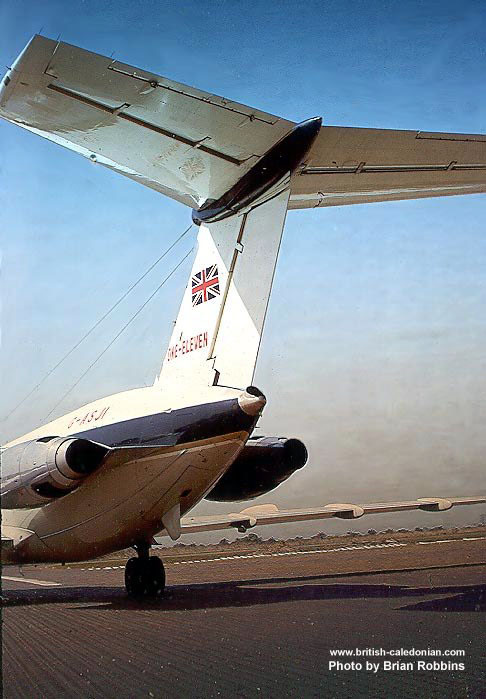 Freddy (Laker) wanted to show it off so it made several flights with various dignitaries. 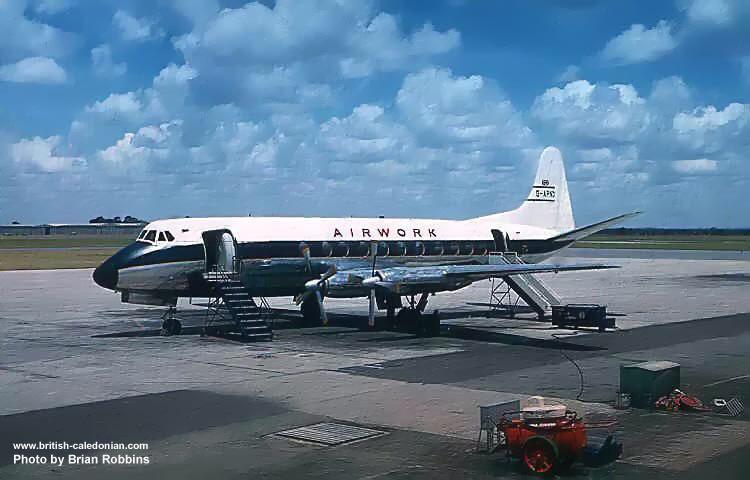 The 1-11 started regular Safari services later that year. 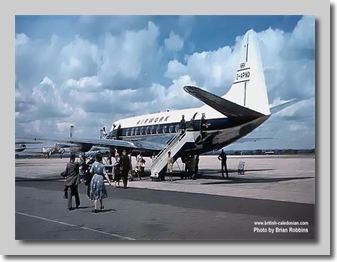 Note the RAF Brit in the background of some of the photos. 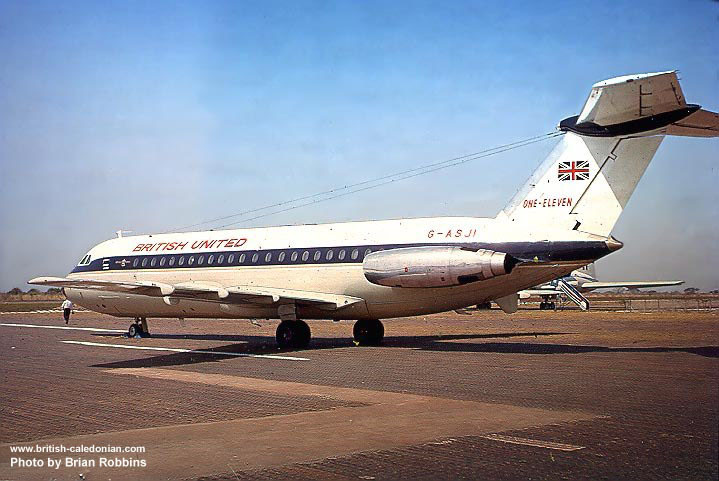 The Duke &Duchess of York who were the Queen's reps for Independence flew out on that.